It offers two types of policies: Archive policies and Delete policies. Exchange Online offers retention policies to help organizations reduce the liabilities associated with email and other communications. 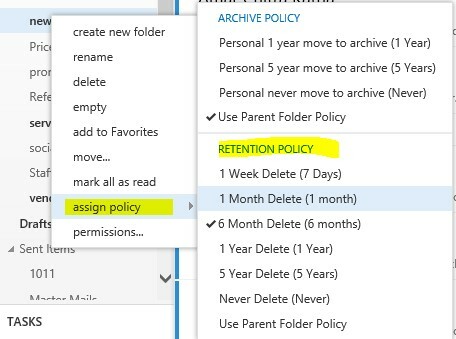 With these policies, administrators can apply retention settings to specific folders in users’ inboxes. 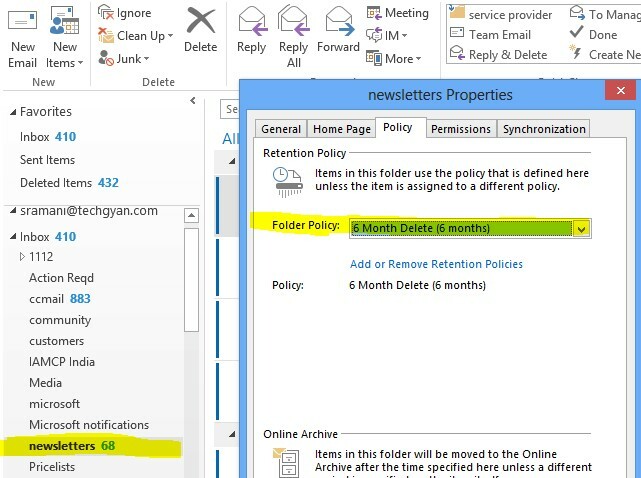 Administrators can also give users a menu of retention policies and let them apply the policies to specific items, conversations, or folders using Outlook 2010 or later or Outlook Web App. The newsletter folder is highlighted on the left. And the folder policy is highlighted on the right. And it says 6 months. So by making intelligent use of Retention policies, you can manage your email system much better and at the same time ensure compliance also.